This small bespoke panel of simply painted and kiln fired glass is our last piece of 2014. Designed and produced entirely by Deborah, it was made for a private clients beautiful little cottage up in the hills above Nelson and Colne. Their brief was to produce a small panel depicting a country scene which would then take pride of place within a brand new hand crafted oak front door. The two magpies (it had to be two of course) reflect the name of the property; Magpie Cottage and the rural scene perfectly compliments the wonderful surrounding countryside literally on the cottages doorstep. 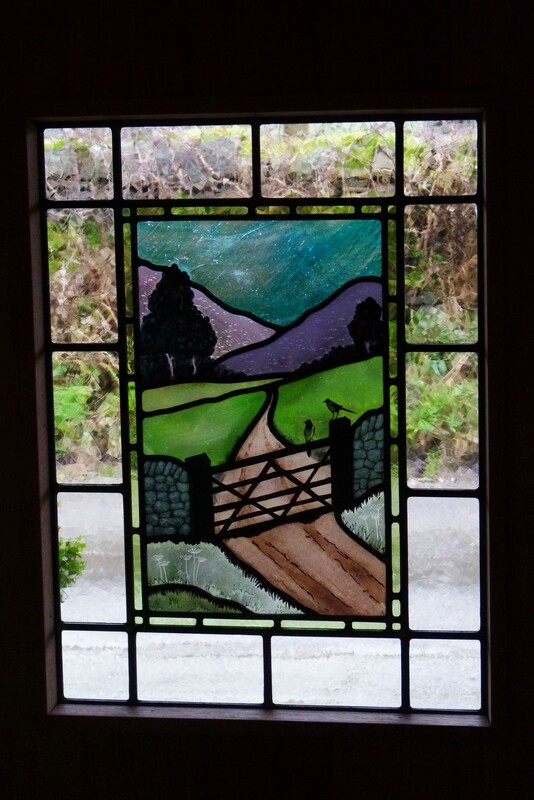 Completed in a relatively short period of time, we feel it is a good example of how bespoke stained glass can be produced on a comparatively small budget. 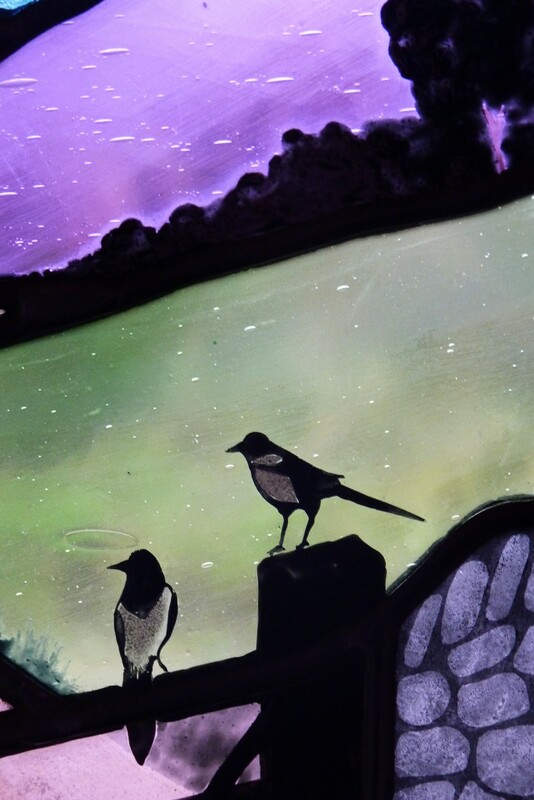 Our images show a close up detail of the two magpies and the panel in full.